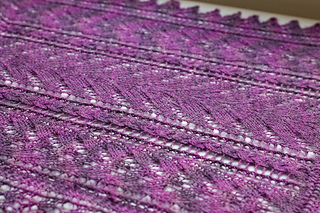 26 sts to 4 inches and 24 rows to 3.5 inches, measured over lace gauge swatch. 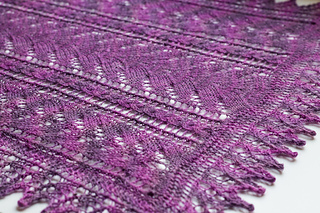 The main panel of the shawl is worked first, flat, then an inner border is picked up around all edges and worked in the round. 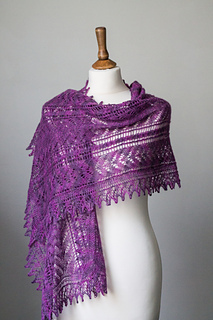 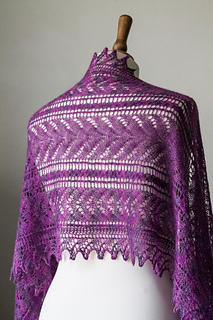 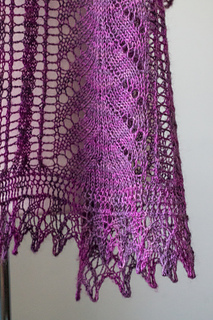 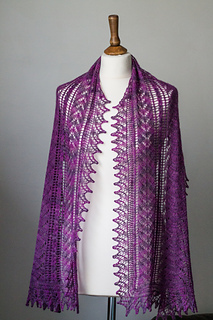 Finally a lace edging is knitted on perpendicularly, around the entire perimeter of the shawl. 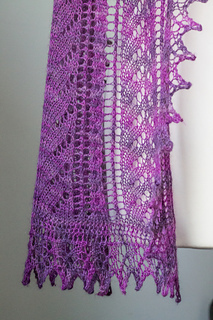 The lace patterns are given both as charts and as full written instructions. 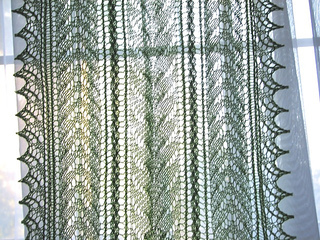 When knitted to the given gauge, the finished shawl will measure 70” (178 cm) long and 17” (43 cm) wide (after blocking).